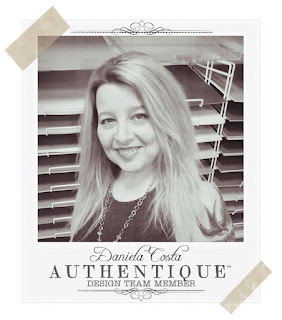 We are excited to share with you a project from our other guest designer, Daniela Costa! 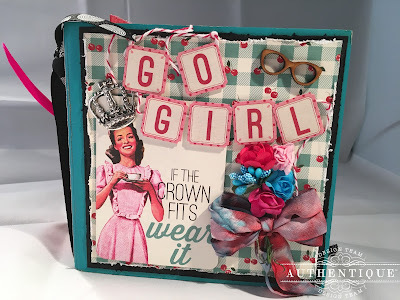 We loved her style, and are glad to share her fabulous work with you today. I'm so excited to be sharing my work with you here on the Authentique Blog! One of my favorite lines by Authentique is the Fabulous Collection. It features my favorite colors and the sayings and images are just so on point! 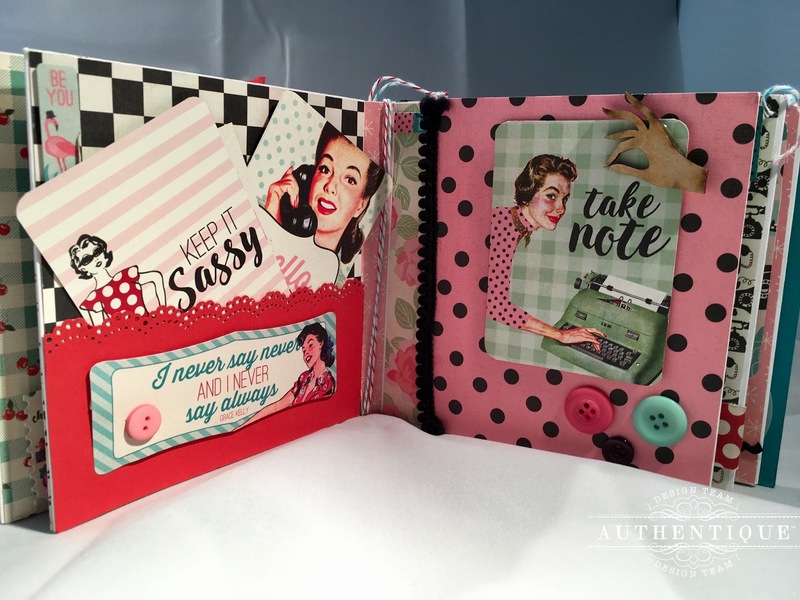 For my Mother who is fabulous and sassy this is the perfect line to celebrate her! I've made a Chunky Mini Album by Pinecone Press, which is 6x6. 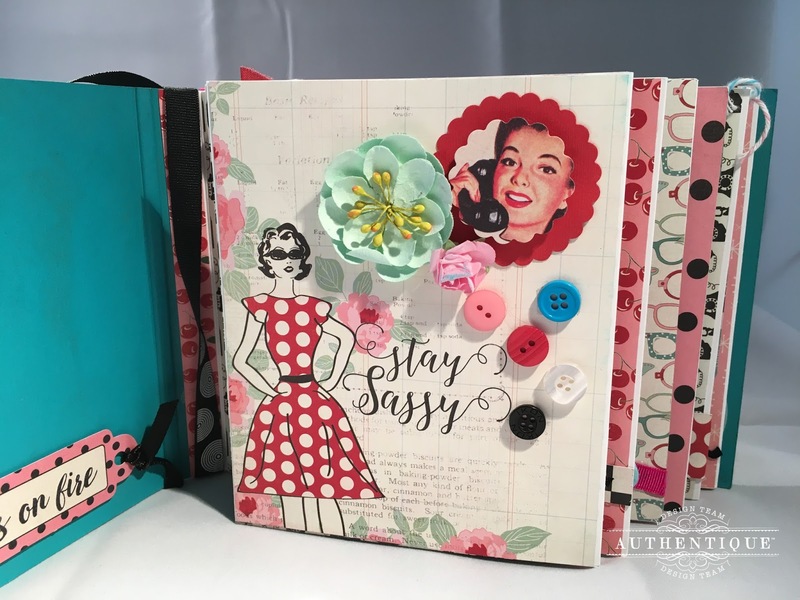 I've used all the beautiful papers from the line along with lots of ribbons and some wood embellishments from SA Crafters. 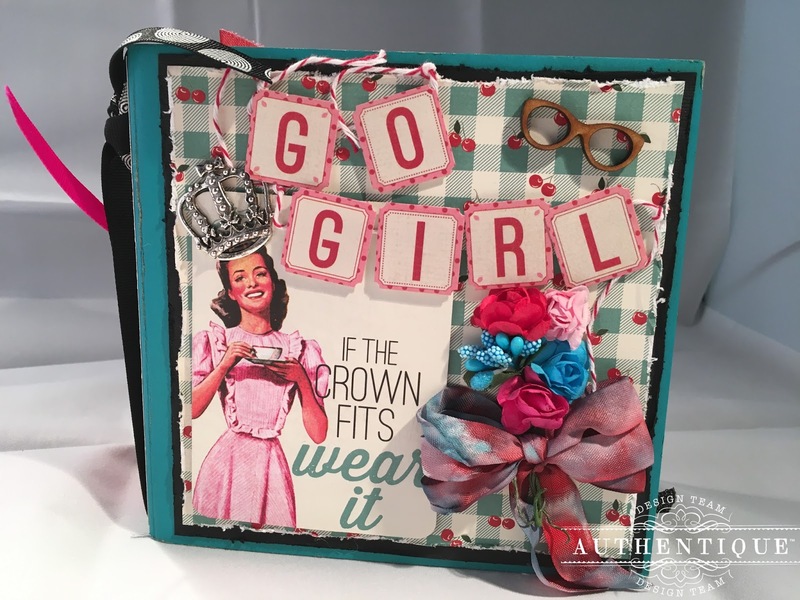 This cover utilizes the Fabulous 3x4" Authentic Life Cards, paper, elements from the Details sticker sheet, hand dyed ribbon, wood glasses from SA Crafters and flowers and a crown charm from my stash. The Details sticker sheets Authentique puts with every collection, really has everything you need to embellish you project! With words, tags, sayings, and photos, the Details sheet with every collection is a MUST. I always use a lot of pop foam as well to make my pages POP! 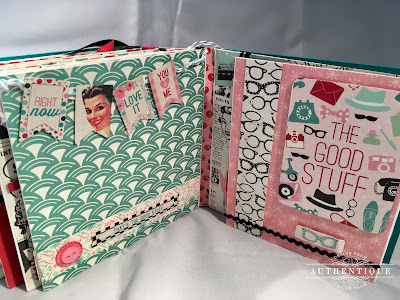 The Album I'm using from Pinecone Press is a Chunky 6x6 Album. 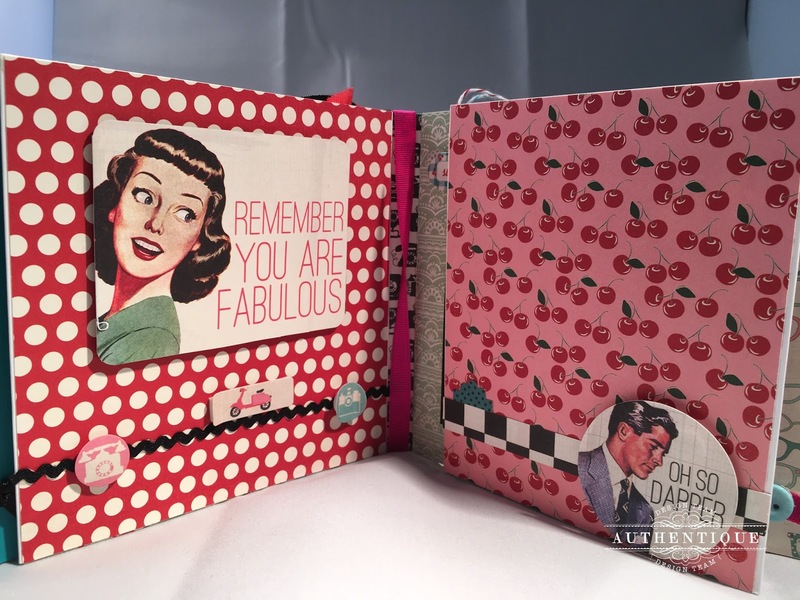 It has a few ways you can put it together which makes it very versatile, and shows off the Fabulous papers wonderfully! I've cut each of my papers to fit the pull outs on each page of the album. These have a 6x6 base and a 5x5 Fold out. Authentique's Papers don't need to much to stand out, but using your leftover strips like I did here on the right, just gives the album that much more interest! I also use a lot of ribbons, buttons and twine to embellish this darling album. The photos above show the flap closed and then opened. The left of the album features a pocket to put all those leftover cut apart cards from the paper line. The wood hand on the right is also from SA Crafters. These pages show off more elements from the Details sticker sheet. On the left I've made the tags on the sticker sheet into a banner using twine. The right features a card from the cut apart sheet. The Authentique Fabulous Collection is one of my all time favorites and fits the season perfectly! For any woman you want to celebrate, lift up and inspire, this is your paper line. I know so many FABULOUS women in my life that are getting something for Mothers Day made with this darling collection. Thanks for taking time to look through my Fabulous Mini Album! Celebrate the strong wonderful women in your life with something handmade from the Fabulous Collection! This is such a fantastic album! 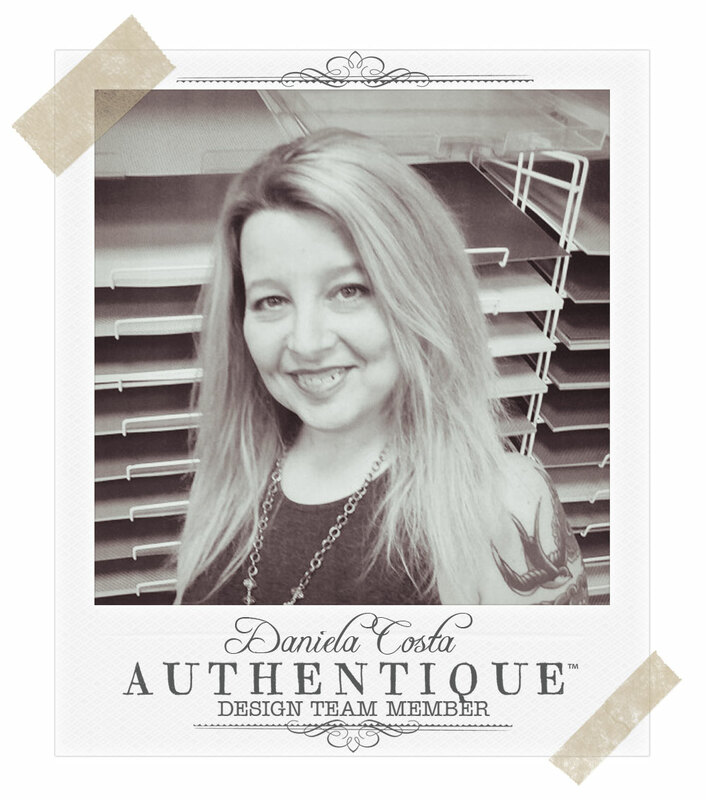 Love Daniela's creativity and the way she pulls details together. I love your mini albums and this paper is just the cutest! I love your album. I just made one with you and it to is beautiful. Authentique is one of my favorite papers. This paper is so retro. Love Love Love it. Daniela, your talent seems to know no bounds! I love this album and how much detail you've incorporated! The album, and you, are Fabulous! Daniela, you have a real talent for putting together the cutest mini-albums and I appreciate how your kits and classes make it easy for me to make them, too! I love the retro and sassy look of this album. Great job! I got my kit already! I can't wait to start it! I love going to Daniela's classes, to. Thank you for sharing your talents with us all! So nice to see Daniela's album and Authentique always has such nice collections. I know somebody who would love Fabulous line and that book. This album is adorable and I can't wait to see what other creative goodies you design, Daniela! Your mini is marvelous! I love how you combine the papers & ephemera, it's truly you! Awesome mini album - one of my favorite Authentique lines! So happy for Daniela!! You have gorgeous papers! !